Strike!!! Again, STRIKE. High Fives all around. 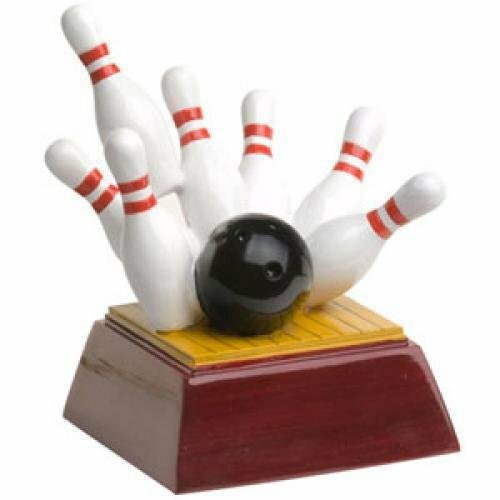 What a bowling game that was. You have just wont the championship game. Your whole team deserves an a bowling trophy. 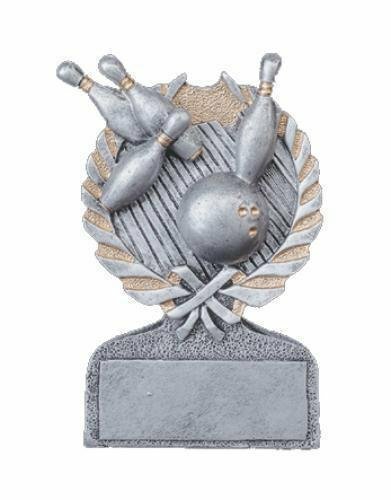 What a great way to recognize someone with this single column bowling male trophy with trim. 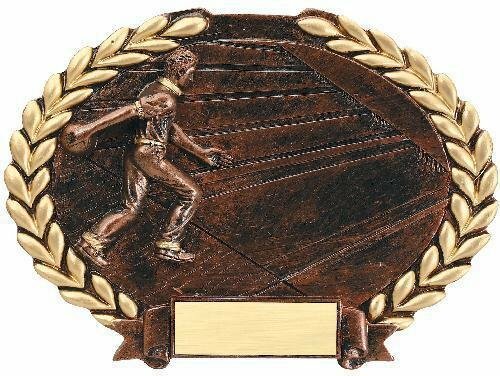 The bowler that tops off the award is shown arm back getting ready to approach the line to bowl the last strike for that perfect game. 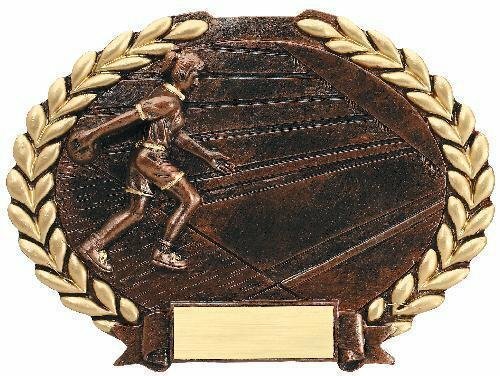 Other highlights of this award trophy is the unique pattern and red color on the column while the second place trim at the bottom to completes the look. 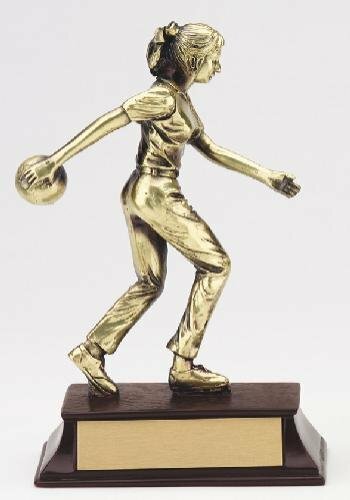 this award trophy measures 15 1/2" tall and has plenty of room for whatever your personalization needs might be. After you have added this item to your cart, you can modify any of the parts for any sporting or academic activity. Your recipient wont believe their eyes when they see this award trophy! 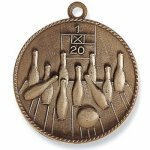 Bowling Male Single Column with Trim 15 1/2"
M90/M91 Series Medals are 1 1/2" hi-relief die cast medals available in a wide selection of themes. Available in antiqued gold, silver or bronze finish. 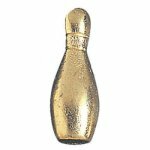 This bowling multi color sport resin showcases a bowling ball scattering pins that leaves no doubt it was a strike. The gold and pewter finish highlights different elements within the award. A wreath with a bow at the bottom bring the entire award together. 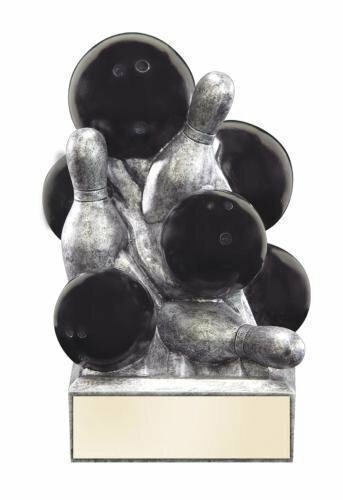 Standing 5" tall with plenty of room on the base for your engraving needs is sure to be perfect for whatever your bowling needs might be. Chenille Pins are the perfect when multiple awards are to be presented to multiple participants. Resin Color Sculptures are the perfect award for school and sporting events. These awards feature multicolored sculptures atop a rosewood colored base. Authentic looking black bowling ball highlight these unique sports themed resin banks. 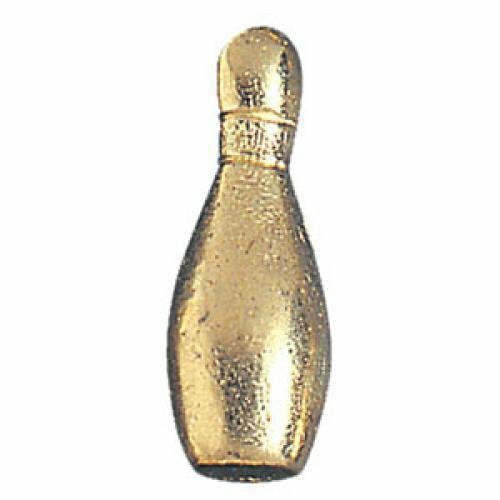 Bowling pins in all directions as if just hit by a ball make up the final icons. 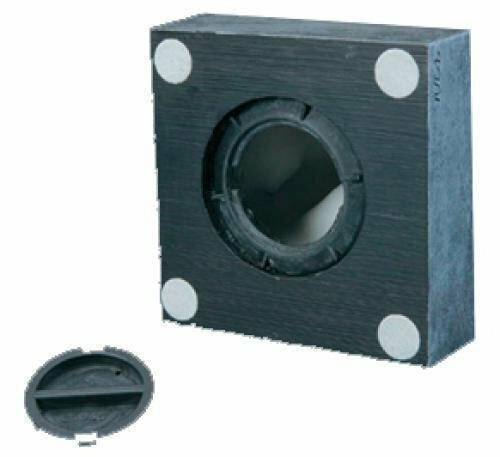 The coin slot is located at the top of the ball and the drain plug is easily accessible on the bottom. These banks stand 6" high and have a large area at the base for whatever your engraving needs may be.